Ruben Tejada is Aledmys Diaz with the excitement sucked out. He's nine months older than Diaz—one baseball-year—but while Diaz was hitting .315/.404/.500 in baseball stadiums most of my readers were legally barred from visiting, Tejada was... I need to back up. Before Tejada was Aledmys Diaz with the excitement sucked out, he was Jose Reyes with the excitement sucked out, and most of the Jose Reyes. I can't testify to what he was before that, and whether it was exciting, but from the moment he turned 20 and replaced the Mets' previous teenaged shortstop his career has been characterized mostly by our refusal to be interested in it. We've had plenty of opportunities. Ruben Tejada was a 20-year-old starter at a glamor position in New York. He was an above-average hitter for the position at 21. Now he's a $1.5 million, 26-year-old patch on the Cardinals' Jhonny Peralta problem. And each time: Nothing. At 20 he had nothing but being 20 to recommend him—no defensive reputation, no offensive results, no impressive minor league numbers. He was pushed aggressively... just because he was, as though each minor league team he joined spent half a season watching him hit .260, found nothing to recommend or disqualify him, and shrugged its collective shoulders. At 21 he paired his .360 on-base percentage with 15 doubles, one triple, and zero quadruples. The interesting parts of Ruben Tejada's game shrink away from attention like a Dickens heroine if you stare too long. He was a surprisingly competent hitter at 21, and he was the same hitter at 25. He draws a lot of walks, but only when he's batting eighth; without the pitcher backing him up his walk rate has hovered around six percent, somewhere in the Kolten Wong latitudes. At shortstop he's somewhere between useable and average. At 26, he's the Cardinals' field-tested replacement for Jhonny Peralta, in competition with players who haven't had the chance to lose our interest. Aledmys Diaz has the power to hit home runs on purpose, and—more importantly—he finished the season strong, moving out of forgotten gamble territory and into position as the instrument for all our secret Peralta Wally Pipp fantasies. And Jedd Gyorko—well, he's not really a shortstop, and that is exciting. If Ruben Tejada were a little less exposed, or a little less proven, or a little less of an actual shortstop, maybe we wouldn't meet him with so much indifference. Maybe he wouldn't have passed through waivers. Unfortunately for him, we know who Ruben Tejada is: He's nothing to get excited about. Every signal his teams have ever sent—from his first call-up to his $1.5 million deal—suggests they agree with our valuation. 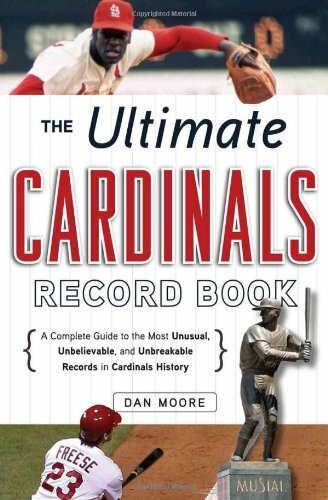 But unexciting has value, and it doesn't cost the Cardinals any exciting. (The bad kind of new-player exciting, the anxiety, yes; the good kind of exciting, no.) Aledmys Diaz, who a year ago was nearly as unexciting as Ruben Tejada, could probably use a couple of months at AAA to attempt the dangerous trip from exciting-by-obscurity to exciting-in-his-own-right. Jedd Gyorko will get the chance to make a first impression with his bat. Greg Garcia—I like Greg Garcia, but he's two months older than Ruben Tejada. He'll be all right. You sign Ruben Tejada suspecting that Aledmys Diaz might not be a shortstop and Jedd Gyorko is just barely a second baseman, and preferring to work out both of those suspicions in private, or at least outside of a pennant race. He does what he does, and you don't pay too much attention to it; you're too busy watching Diaz, and talking to your confessor about what you're really willing to do to Jedd Gyorko in front of 40,000 people. At some point in the next couple of months, either of those situations might tilt from exciting to actionable. That's OK: You're watching them closely, because you don't have to watch the major league infield. And you make the move without a second thought. Because you don't have to spend much time thinking about Ruben Tejada.